As per the Fandango Correspondent Meg McCarthy top ten movies of 2014. She reviewed the Best Movies of the year 2014 as mentioned below. Find the Each trailer associated with the movie. The choice of yours might be different then the below mentioned movie Top 10 list but these are the movies who had great response from the audience after the release. These films received the powerful positive reviews from the Movie critics across the world. 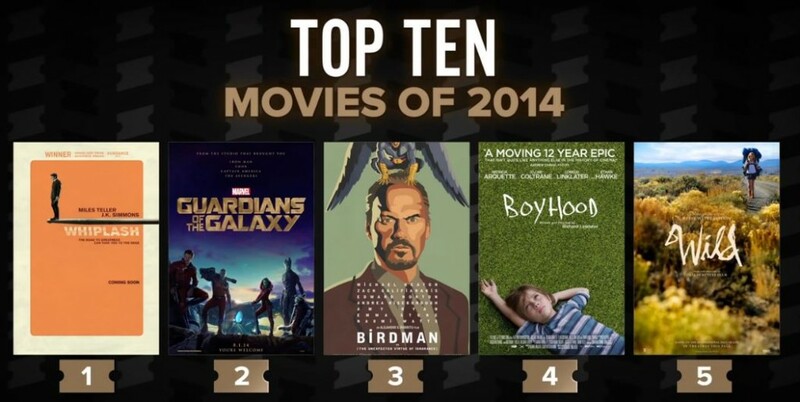 Which is your Favorite movie of the year 2014? Let us know in the comment section below. Watch the Video by Meg reviewing the each movie which is loved by the public across the globe and share your thoughts on the same !